Welcome to The Cloth Shop! We are a long established family run business and have been operating for over 40 years. Our shops are located in Seaton (Devon) and Crewkerne (Somerset). We pride ourselves on our experienced, friendly staff who can help and advise you in all areas, whatever your project may be. We have a large stock of knitting yarns including: Sirdar; Patons; King Cole; & Thomas Ramsden, together with patterns, needles and accessories. Our haberdashery department includes ribbons, tapes and bindings, threads, buttons, zips, dress patterns, etc. 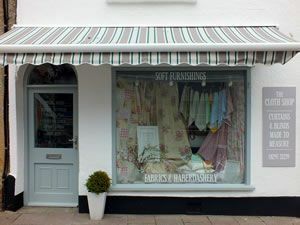 We specialise in bespoke curtains and blinds – we will visit your home, office, etc – measure and offer advice, all complementary, and give you a no obligation quote. 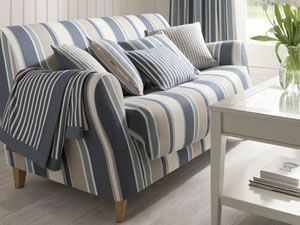 We have a massive selection of fabric and samples which you are welcome to take home and ponder over. We also stock a huge range of products for the home sewing enthusiast including craft and dress fabric; knitting yarns with all the latest patterns; ribbons; and haberdashery, everything for the finishing touches. Come and see us for your latest project or browse for inspiration. 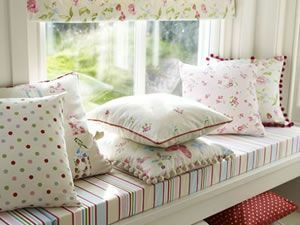 We have a huge selection of curtain fabric samples & headings to choose from. Our range of blinds include: roller, vertical, venetian,Velux and more. We have a large stock of knitting wool and haberdashery.